In order to improve security, SAP Field Service Management has implemented Mobile Device Management for Field Service mobile on Android and iOS using Mobile Iron. This allows accounts to be associated with devices, ensuring that users can not use personal and/or unauthorized devices to access the account. Mobile Iron is a platform that secures the Android Coresuite application. 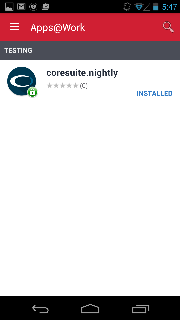 The Mobile Iron-enabled version of the Android Coresuite application is distinct from the version available from the Google Play store. 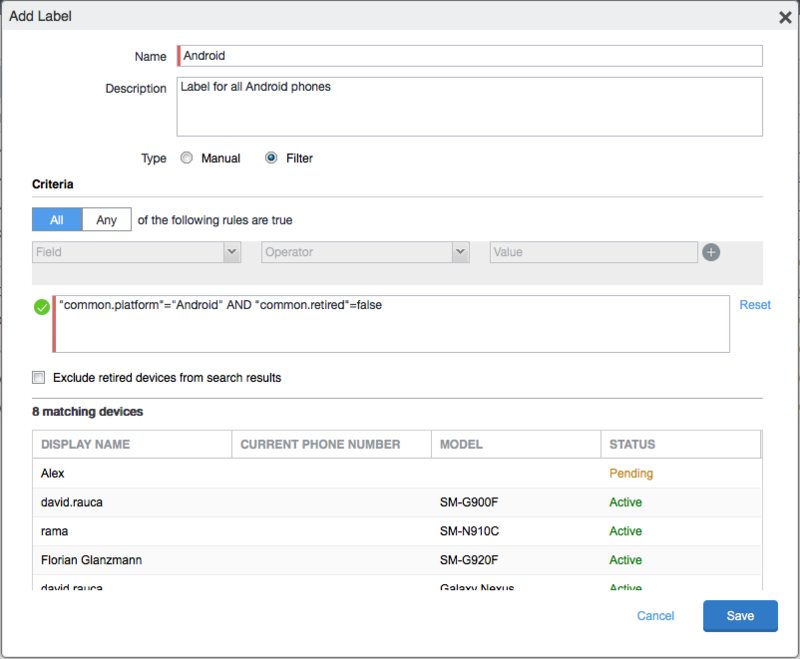 This build can be installed on an Android device using the Mobile@Work application described in the How to Install Coresuite Mobile via Mobile@Work below . After it is installed, you can then configure the app from the Mobile Iron CORE admin portal. This is used for CONFIGURATION and POLICY, and is the identifier for the WRAPPED application, NOT the application from Google Play. Note: Please contact SAP Support for assistance in creating an account. ATTENTION: This is a temporary solution for providing wrapped builds. The reason behind this is that for iOS, Mobile Iron offers an SDK that can be used for integration. However, an SDK is not available for Android, thus requiring integrators to use a wrapper instead. There is a new application created on HockeyApp from where the wrapped build can be downloaded. The wrapped build downloaded from HockeyApp can not be installed on a device directly for security reasons. After downloading the build from HockeyApp the build should be uploaded to the Mobile Iron Core Portal (see the "Upload a new in-house application" section). After uploading the build to Mobile Iron Core Portal the admin will be available to publish the app to devices/users (see the "Publish an application to the users" section). ATTENTION: The following configuration requires administrator credentials on the admin portal. These are currently not shared with customers. Please contact a SAP FSM consultant to complete the following steps. 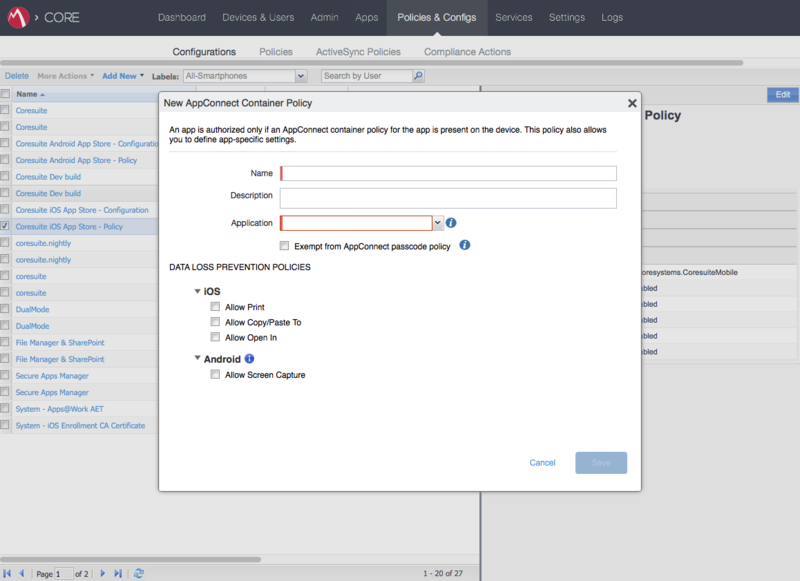 WARNING: On Android, for the wrapped application, there is a configuration and a policy created by default when the application is uploaded to the App Catalog. 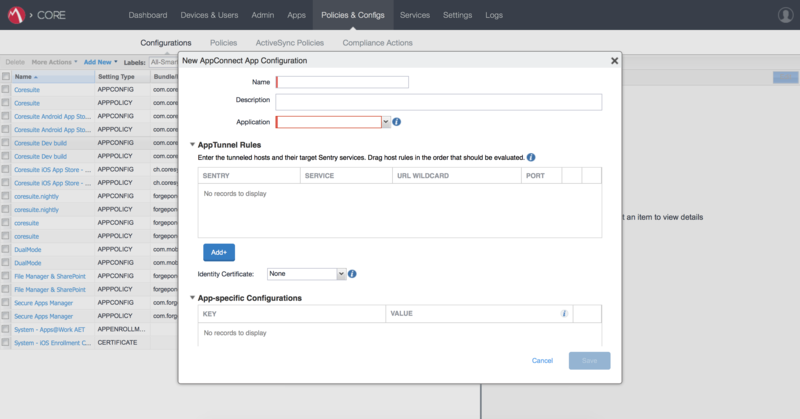 The DEFAULT CONFIGURATION and the DEFAULT POLICY are removed automatically when the application is removed, and using these to add custom configurations to the app is NOT recommended. Creating a new configuration and a new policy is the recommended approach. 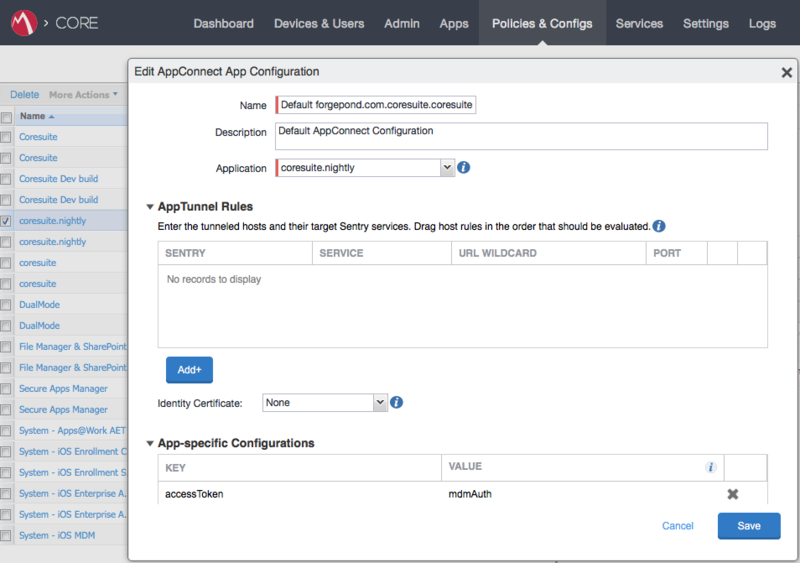 Create a new app configuration and a Container Policy, and give it a name. (e.g. 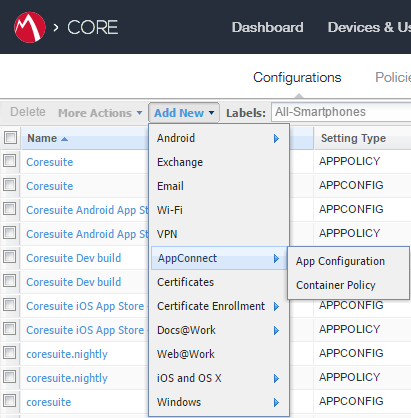 Coresuite Mobile Android Wrapped - Configuration / Policy). If you already have a configuration and policy, this step can be skipped, and you can click "Save" with no further changes. Mark the Configuration entry that you have created previously and edit it. IMPORTANT: For "Application", use the identifier listed at the beginning of this document. IMPORTANT: Must be the same as specified as Client ID in the SAP FSM Cloud admin tool (e.g. mdmAuth). Mark the Policy entry that you have created previously and edit it. Set up a label for Android. Assign the policy and configuration to that label. Upload a new in-house application. Push application to the users. Install application on user devices. Login to Mobile Iron CORE admin portal. Open "Devices & Users" section. 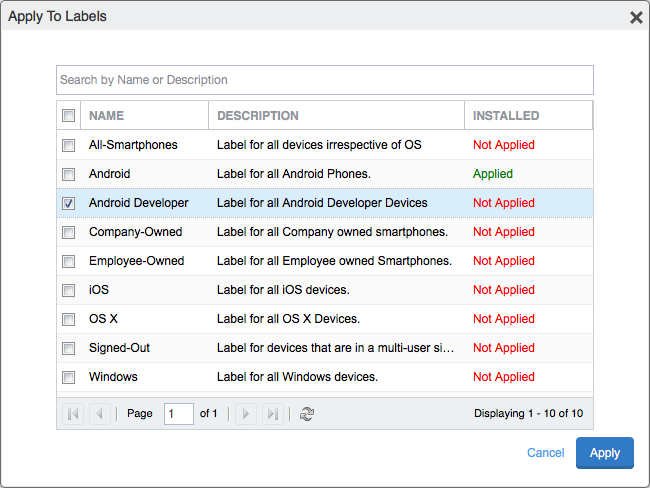 Labels are used to group users by category (ex: Android - includes all android devices, Android Developer - includes all android developers). Click the Add Label button. Fill in the form with the name and criteria. In the Application field, enter the identifier noted at the begining of this document. Open Mobile Iron CORE admin portal, go to Policies & Configs section and complete the following steps. In the Application field enter, the identifier noted at the beginning of this document. Click "More Actions" and "Apply To Label". Select the iOS label created in the How to create a "label" step. In order to see all apps that are secured using AppConnect wrapper (Mobile Iron) open Mobile Iron CORE admin portal and go to Apps section. Follow the steps from "How to get the wrapped app which should be uploaded to the Mobile Iron CORE portal" chapter at the beginning of this document and get the wrapped application file. Go to Mobile Iron CORE admin portal > Apps > Apps Catalog > Remove the old app (if it exists) - you can not update it, you should remove the old application and add the new one. In order to add the new build click Add button > In-House > select the wrapped application file obtained at step 1 > Click the Next button > Wait for uploading the new build. When the new build is uploaded, add a short description to the build, select the category and then click the "Next" button. 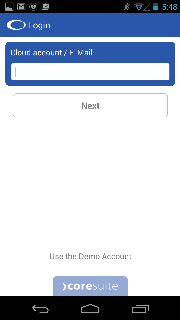 Click the "Next" button for the rest of configuration, then click "Finish". When successful, the new build will be visible in the Apps Catalog. Note: This step is not required if you use the iOS app and get it from the Apple App store. Open Mobile Iron CORE admin portal and go to Apps > Apps Catalog. Select the app that you want to push to users. Click the "Actions" button > Apply To Labels. Select a label from the list and Click the Apply. The application will be visible in App@Work app (iOS) or section (Android) for all the users included in the label. It can now be installed by following the tasks in chapter "How to install Coresuite Mobile via Mobile@Work". Note: To remove an app from a label, use "Remove From Labels" option. Install Mobile@Work from Google Play Store / Apple App Store. Open Mobile@Work and log in using credentials. Server Address: (ex: de.mobileiron.net:30511) it will be sent to the new user created in the section "How to create a new user account" via Email. User Name: user created in the section "How to create a new user account". Password: password from the user created in the section "How to create a new user account". Select Apps@Work from the menu. 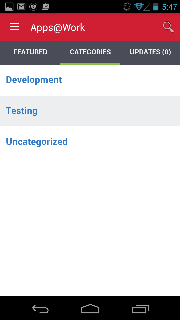 Tap Categories tab and select the category of the uploaded app (ex: "Testing") - the category is added when a new application is uploaded to the Apps Catalog. See the section: "How to upload a new In-House application". Tap on application (ex: Coresuite). Tap Request button to install the application. 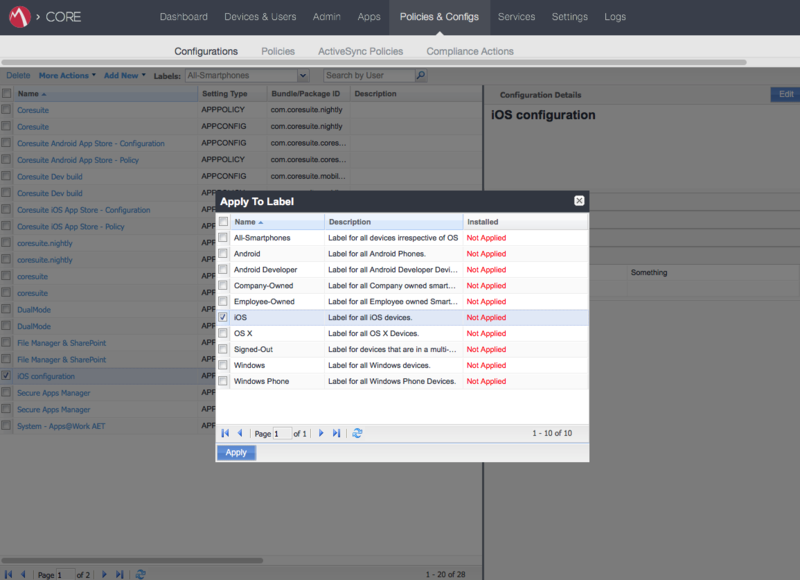 Open Coresuite app and you should be able to log in using Coresuite credentials.